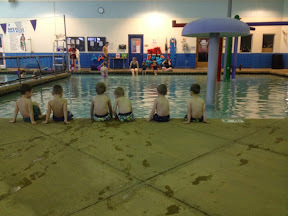 The boys at swim classes. Aside from swim classes and playing in the snow it was a pretty chill weekend. Joy got a Kim Possible movie from the library which the boys have been watching non-stop. Friday we are taking the boys to Joy's ultrasound! That's right!! 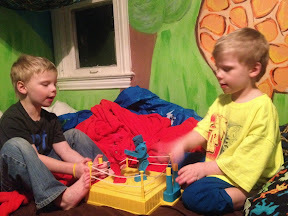 The boys are going to have a baby brother in the next couple months!